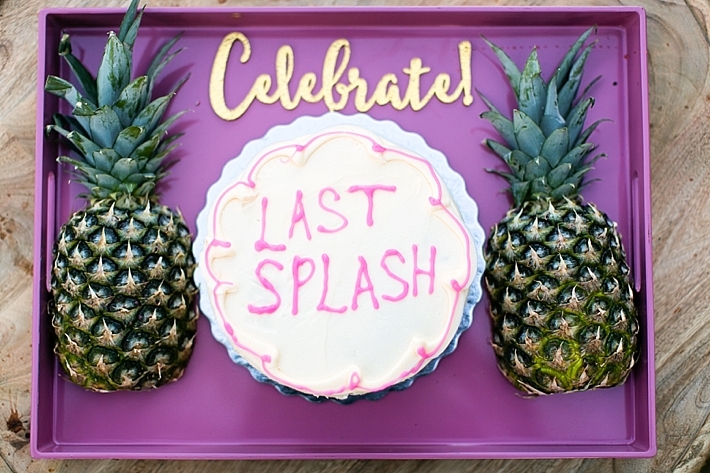 Poolside bachelorette parties are becoming quite a thing nowadays and we're loving it! What's better renting out a home for a few days with your besties someplace like Palm Springs, San Diego, or even Santa Barbara and hanging out with your girls all weekend long? 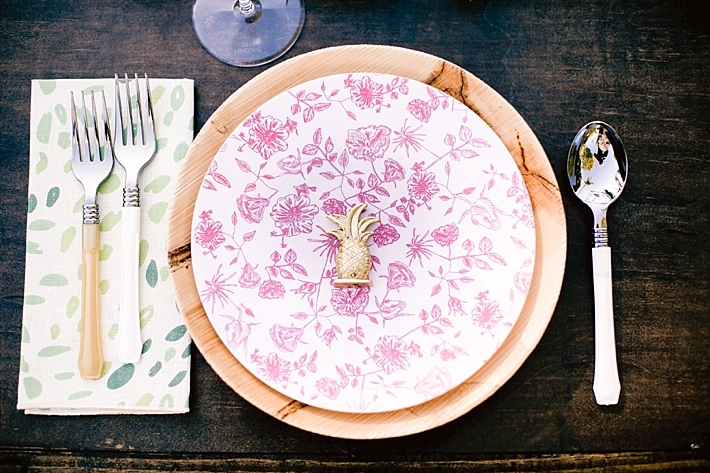 Check out this shoot for some fun ideas featuring some lovely accessories from David's Bridal! 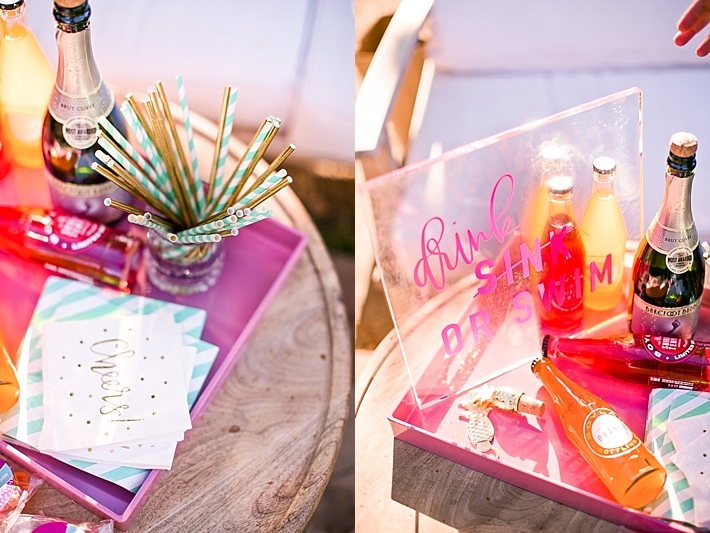 "It’s all about the details in this fun poolside bachelorette shoot! 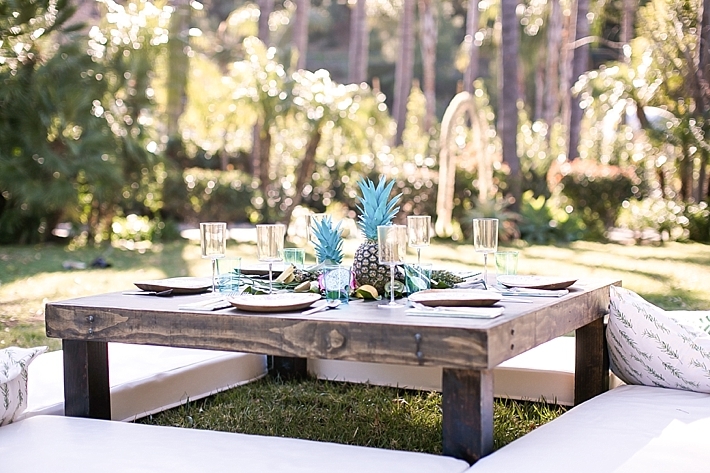 The bride and her besties start the day by choosing their own custom DIY swimsuits, followed by a styled picnic where plenty of champagne is popped. 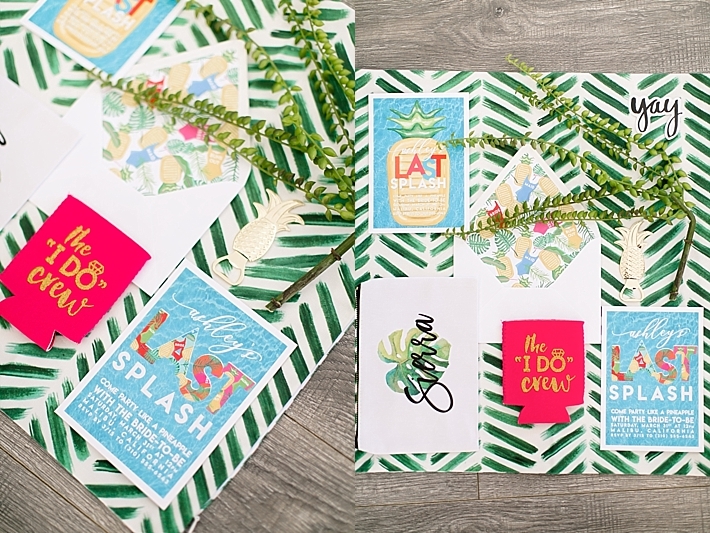 A grab-n-go station hosts customized poolside necessities like chapstick, tumblers, and sunscreen, and the bride and her squad stay stylish with Insta-worthy accessories. 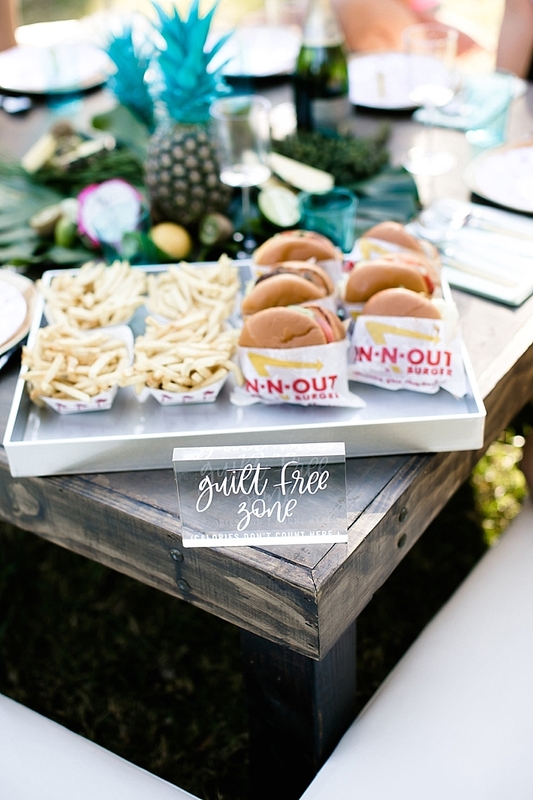 And what’s a bachelorette party without fun games? 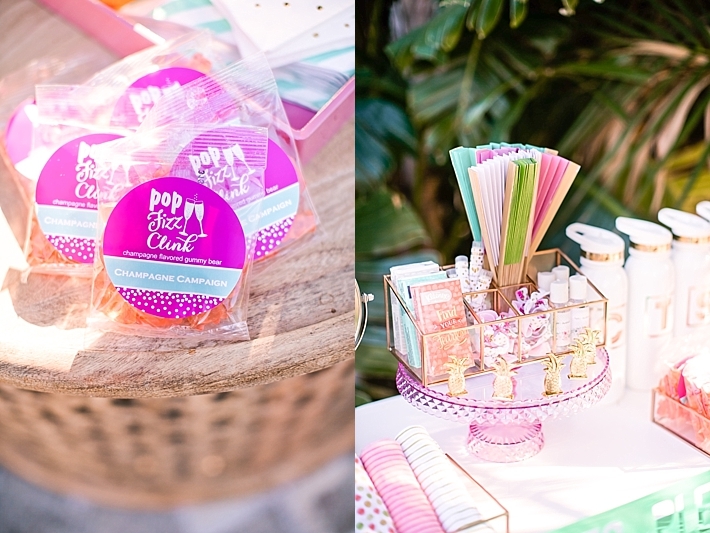 A playful cake-decorating sesh, calligraphy beach balls, and a hula-hoop contest ensure that memories are made." 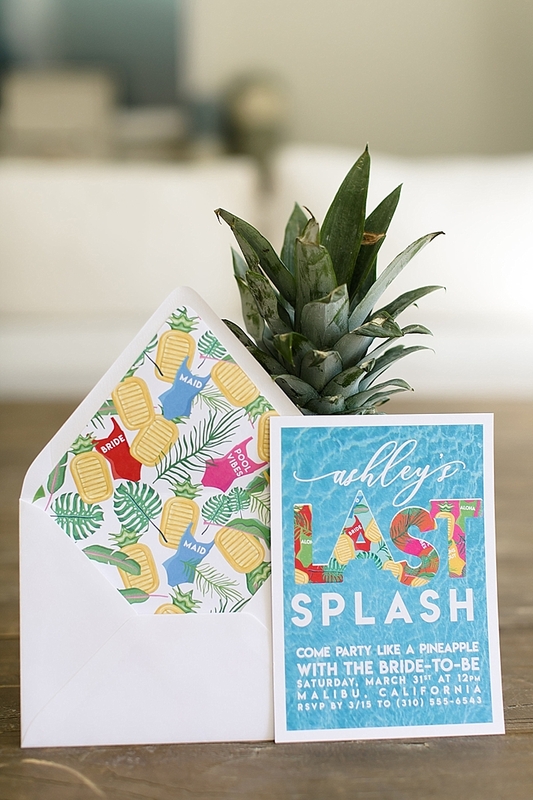 Compensation for this post was provided by David’s Bridal for Aisle Society. All opinions are the author’s own are not endorsed by David's Bridal, Aisle Society, or their affiliates. 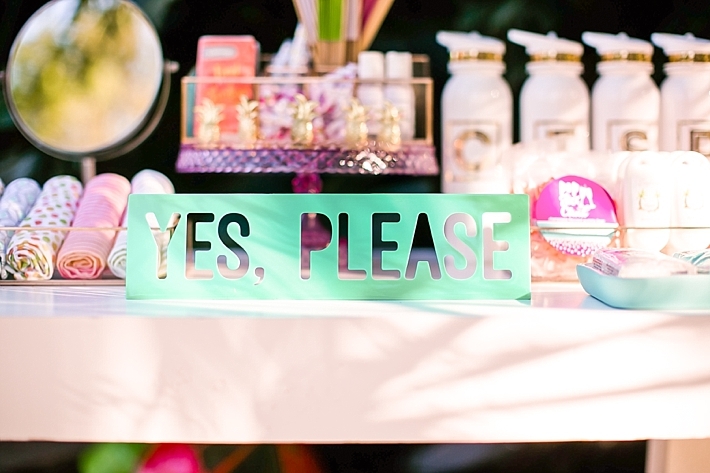 Production: Love Inc. for Aisle Society | Bachelorette Details, Gifts & Accessories: David's Bridal | Swimsuits: DIY | Planning & Design: Roey Mizrahi Events | Photography: Jacqueline Patton Photography | Videography: Storytime Motions | Florals: XO Bloom | Calligraphy: Fawn Lettering | Stationery: Matinae Studio Design | Venue: Retreat Malibu | Beauty Concierge Service: Elwynn + Cass | Models: Taylor Rae, Elena Tretyakova, Brooke Lacey for Bella Agency LA, Heather Ruiz, Mandi Williams | Single-Use Tabletop: L’entramise | Rentals: La Piñata Party and Soiree8 | Waffle Desserts: The Dolly Llama | Floats: Big Mouth Inc.